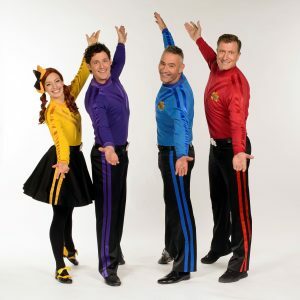 Family favourites, The Wiggles, in St. David’s Hall this summer! AUSSIE family favourites The Wiggles are coming to St David’s Hall this school summer holiday with all their wiggly friends! The children’s music group are travelling over all the way from sunny Sydney for a special show at the National Concert Hall of Wales on Sunday 6 August at 2.30pm. Plus Emma, Lachy, Simon and Anthony will be joined by their best pals Dorothy the Dinosaur, Captain Feathersword, Wags the Dog and Henry the Octopus! Since forming in 1991, The Wiggles have captivated children across the world and there’s now a whole new generation of kids falling in love with them thanks to their Netflix UK series Ready, Steady Wiggle! In between there will be a medley of beloved tunes including Hot Potato, Fruit Salad, Do the Propeller, Rock-A-Bye Your Bear and Five Cheeky Monkeys. With combined sales of 30 million DVDs and CDs and 8 million books, The Wiggles’ Nursery Rhymes CD entered the Australian Albums Chart at No.15 – sitting above Ed Sheeran! Get your tickets quick as they’re selling like Hot Potatoes! A Family Ticket of 4 (with at least one adult) is £55. One ticket free in groups of 10+. (All prices are subject an optional £1 postage fee).